Raees Khan Ahmadzai was born 3 September 1984 in the village of Azra, Logar Province. He is from the Pashtun Kuchi tribe, He is a former Afghancricketer who represented the Afghanistan national cricket team until his retirement in May 2010. Ahmadzai will now take up a coaching role with the national squad as well a chief selector for the Afghanistan Cricket Board. He is also a representative of Afghanaid. (20110918) Ahmadzai spent much of his early years in refugee camps in Pakistan with his family, fleeing from the Soviet invasion of Afghanistan and the subsequent Civil War that followed the Soviet withdrawal. 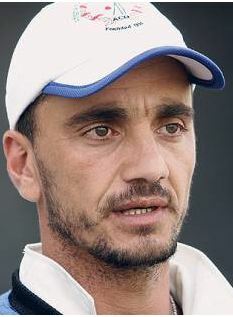 Ahmadzai, like many of his fellow teammates learnt the game in neighbouring Pakistan, in Ahmadzai's case in a Peshawar schoolyard.